Flower Mound is a small suburb of about 62000 people, located about 20 miles north of Dallas. It is a fairly new area where a handful of Indians are moving into after buying residential houses. The nearest Hindu temple is about 20 miles away in Irving, TX. There are about 500 Hindu families living in the flower mound greater area including Lewisville and Denton. 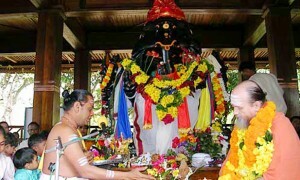 A need for a temple close by has always been in the minds of people in social gatherings like Holi and Diwali. A small group of Indian families got together discussing the Idea of a Hindu temple closer to home during April 2009, and we are happy to inform you that the “vision” is now a “reality”. 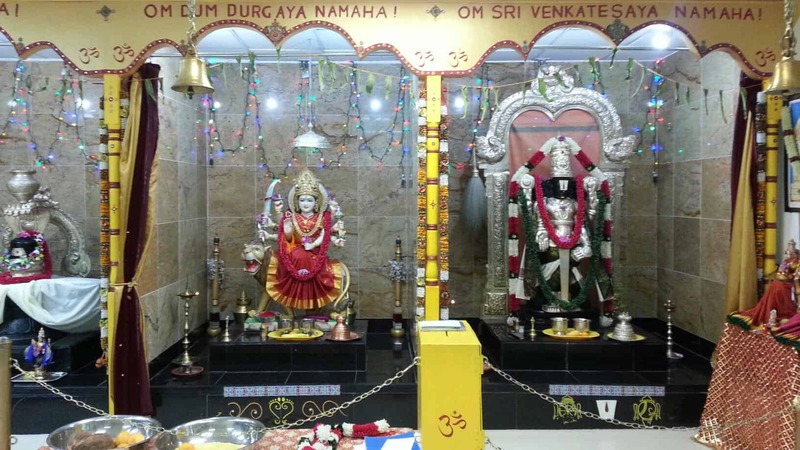 With continued support from our community, we moved forward with the plans to start the temple in August 2009 at 3325 Long Prairie Road, Flower Mound, TX 75022 (Besides Tarakari Indian Grocery). Phase-1 deities included Lord Ganesh and Durga Ma. 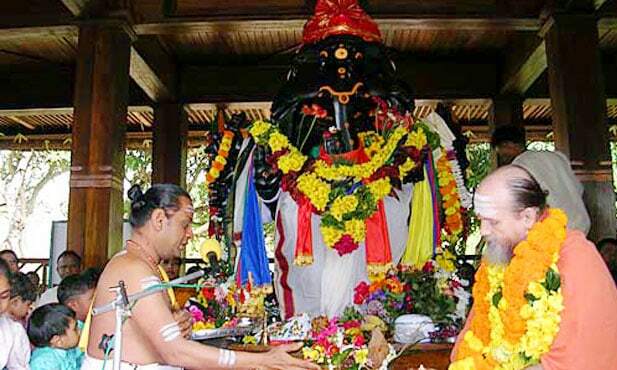 Phase-2 included Lord Siva Linga & Nandi and Lord Balaji. 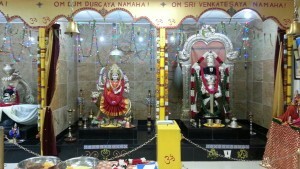 Shiridi Sai Baba deity Prana Pratishta was performed on 8/22/2010. During Phase 4, Lord Kartikeya, Nava Graha and Hanuman Ji are planned. 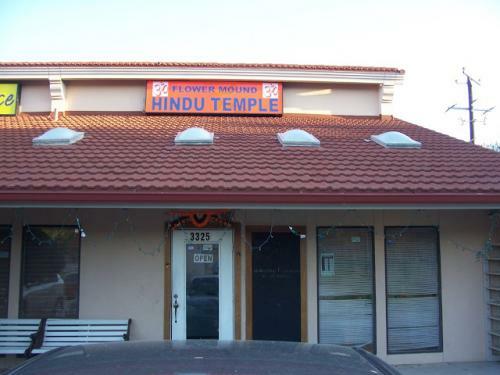 Flower Mound Hindu temple also offers religious classes and Language (Hindi & Telugu) classes at Temple premises. 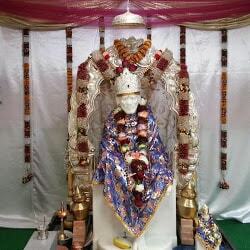 Thursday aarti – 11am,saibaba bhajans – 6:30 pm,sai baba pooja – 7:30 pm; sai baba sej aarti 7:45 pm. Time: Monday to Friday:9:30 a.m. - 12:30 p.m. 5:30 p.m. - 8:30 p.m.Saturday & Sunday:9:30 a.m. - 1:30 p.m. 4:30 p.m. - 8:30 p.m.